then MindRaider is exactly what you are looking for. 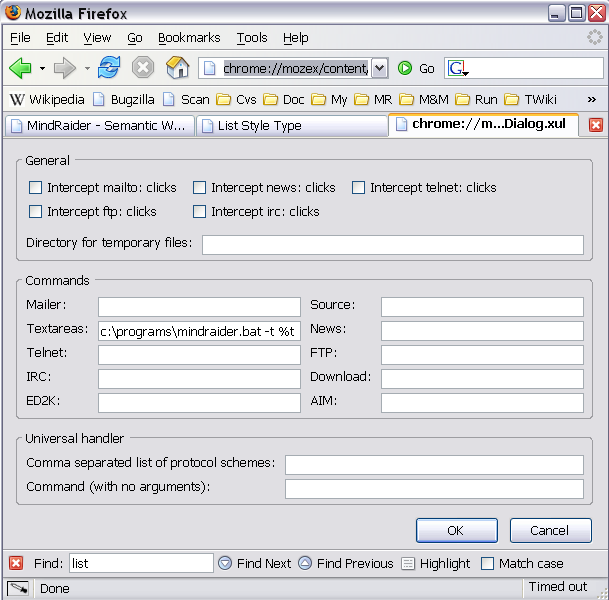 Simply choose Edit/Preferences/mozex from menu. Important: Since there is some bug in Mozex, path to the editor cann't contain space (like C:\Program files\mindraider\bin\mindraider.bat). So if your MindRaider is installed in such directory, you may use auxiliary trigger like this - mindraider.bat and to store it e.g. in C:\MyPrograms\mindraider.bat. 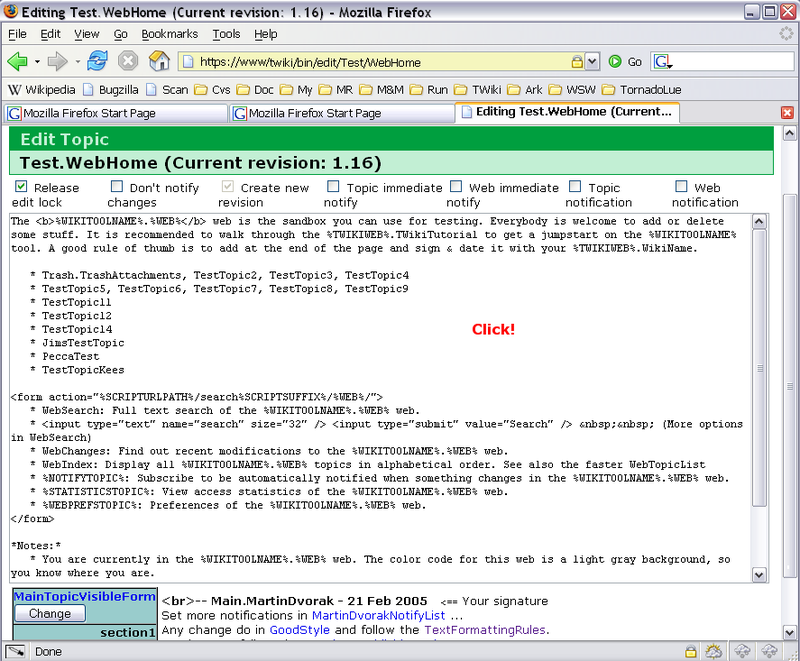 This is work around used to acquire Mozex configuration dialog. 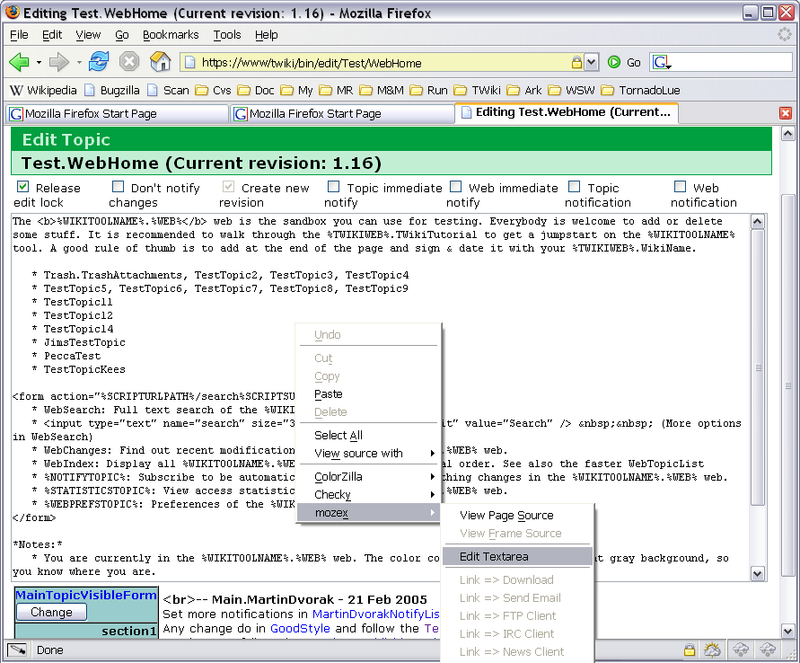 Now you can edit text areas editor as described above for Mozilla browser. 1) Be sure that MindRaider is running. Topic will be exported back to the Mozex's temp directory. You must click the text area content to force its refresh. Save the topic and that's it!